It’s winter in Denver. It is cold out there. If you have to be patching potholes, what better place to be than inside the nice, warm cab of a self-propelled pothole patching machine? An innovative piece of equipment like the Python 5000 lets one person easily execute an entire patching operation—from inside the cab. And the Python’s 5-ton hopper can be filled with EZ Street cold asphalt. As an added bonus, the hopper can warm the EZ Street product for improved workability in cold weather. The result? An incredibly convenient machine meets an incredibly convenient product for even faster, easier pothole repair. The Python 5000 can be ready to go at a moment’s notice. 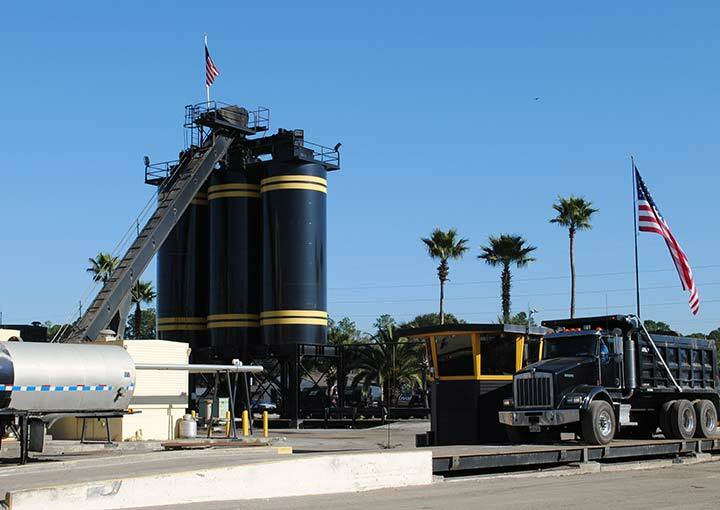 And so can EZ Street asphalt. The EZ Street product stores onsite for up to a year. It doesn’t have the use-it-now urgency of hot mix. And it can be applied on your time, on your schedule. 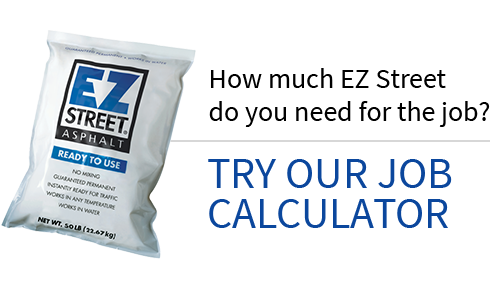 EZ Street cold asphalt helps patching machines show potholes who’s boss.